This spring, ten diverse student teams accessed project funding, Maker Passes, and other resources through a new grant program: the Jacobs Institute Innovation Catalysts. 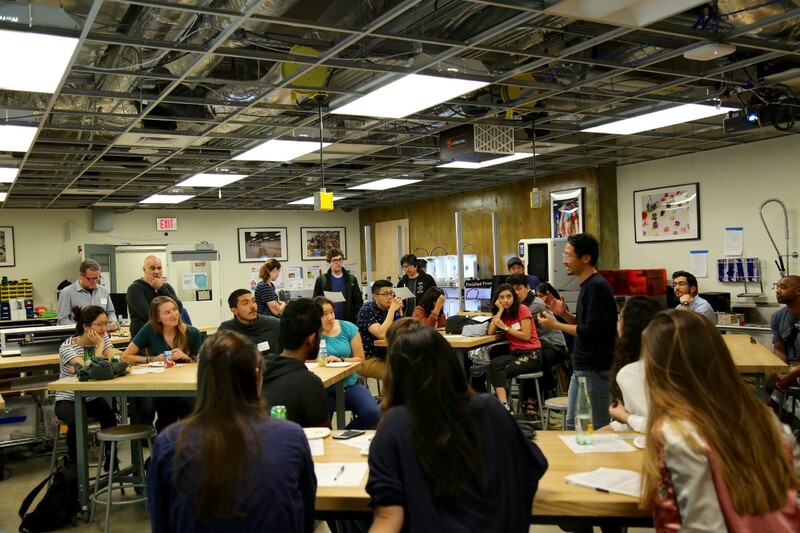 The program, made possible by the Eustace-Kwan Family Foundation, aims to help student designers unlock new potential in their projects. In classes, student organizations, and independently, students are constantly pitching ideas and producing rapid prototypes, and the Innovation Catalysts program provides a pathway for them to go further — whether that means building on an emerging idea or turning an early-stage prototype into a functional product. 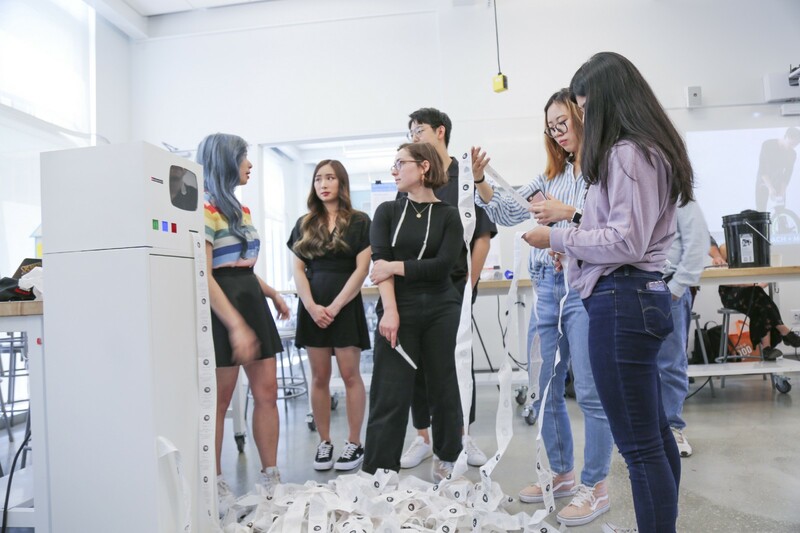 The grant program, which is offered jointly by the Jacobs Institute and the CITRIS Invention Lab, is rooted in a focus on investing in Berkeley’s student design community. Reflecting this focus, the institute’s 14-member Student Advisory Board led the selection process for the program, learning about evaluation and grantmaking best practices before working to craft a portfolio of projects with strong potential for impact. “We wanted students to have the chance to empower their peers and gain experience in philanthropic giving,” explains Amy Dinh, the Jacobs Institute’s student services advisor and the manager of the Innovation Catalysts program. Working with the Jacobs Institute’s leadership, the Student Advisory Board selected ten project teams — collectively representing 18 campus departments, from physics to cognitive science — to join the program’s inaugural cohort. Spark grantee Soravis Prakkamakul, whose project lets musicians control musical interfaces using facial expressions, presents during a cohort kickoff meeting. Four of these teams received Spark grants: small grants, of up to $500, meant to support the exploration of open-ended concepts or the growth of nascent projects. These projects ranged widely, with teams taking on problems that included low-cost cancer screening and contamination in biochemical processing. Experimentation was encouraged: student Naser Abdelrahman drew from emerging medical research to conceptualize how developers might build customized solutions for people living with limb paralysis, for example, while Soravis Prakkamakul explored how musicians could control audio effects with just their facial expressions. The Bank of Hysteria installation at the Jacobs Spring Design Showcase. Another theme that emerged among the cohort was design for healthcare and clinical settings, an area ripe for impact-focused innovation. The SurgeCare team, which in the fall semester had developed a prototype for a low-cost method of surgical instrument reprocessing, used their grant to develop testing protocols and assembly instructions for their device, aimed at moving toward implementation in low-resource settings. Although they hit some unexpected obstacles along the way — unrest in Ethiopia posted significant challenges to communicating with their partners there, for example — they were thrilled when they learned that a group of graduate students at Ethiopia’s Jimma University had used their instructions to easily and affordably build their own version of the prototype. 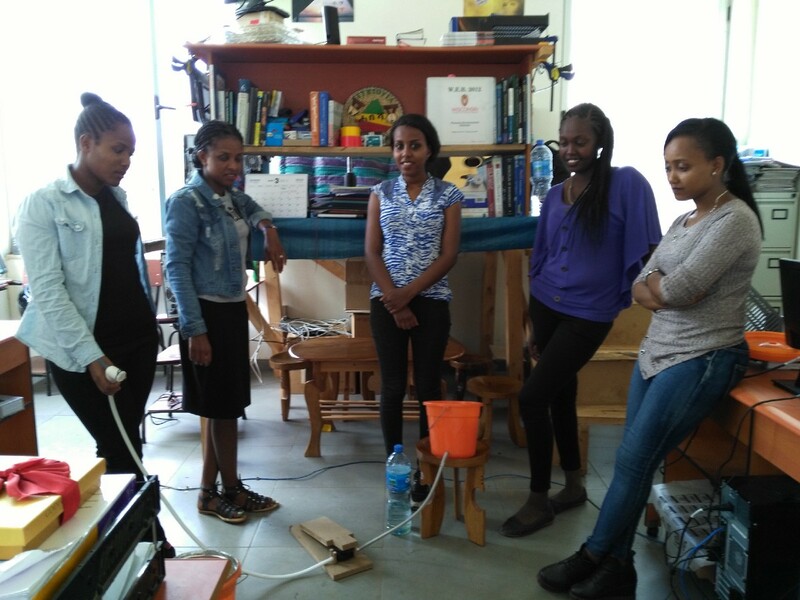 Above left, graduate students at Jimma University in Ethiopia demonstrate SurgeCare’s prototype, which they were able to easily and affordably build using the team’s presentation. 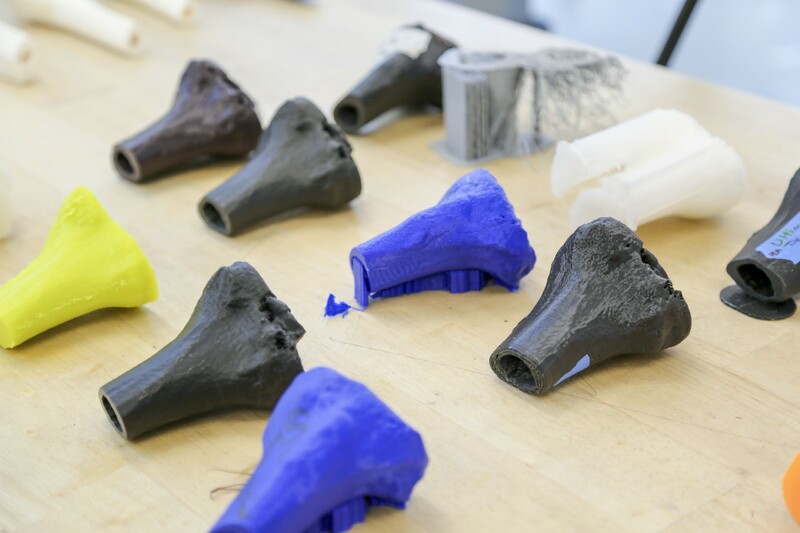 Above right, sample 3D-printed precision bone models. The availability of 3D printers and other makerspace tools played a major role in many projects’ development over the course of the spring. The team of students behind a project termed JARL (Just Another Robotic Limb), for example, used Jacobs Hall’s labs to refine their prototype for a low-cost, wheelchair-mounted robotic arm, which they are designing collaboratively with a local need-knower with quadriplegia. They are currently working on a slimmer iteration with metal parts, ultimately hoping to make the design open-source. 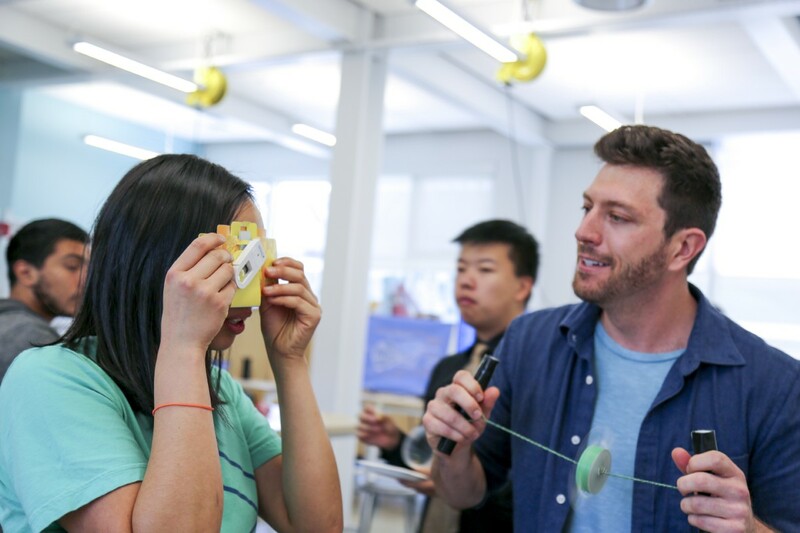 Meanwhile, Aaron Pomerantz, a PhD student in integrative biology, has sought to use makerspace equipment to broaden access to science, developing a “Lab in a Backpack” equipped with low-cost scientific instruments. He used the spring grant period to conduct field testing in the Peruvian Amazon, using a centrifuge he designed and 3D-printed at Jacobs Hall, and to plan additions to to this affordable kit for field research and STEM education. Aaron Pomerantz demonstrates low-cost scientific instruments at the Jacobs Spring Design Showcase. As the Innovation Catalysts program moves into a new academic year, Dinh hopes the program’s own “village” will continue to grow, with its inaugural cohort becoming mentors and sources of support to future grantees and to Berkeley’s student design community more generally. It’s well on its way: applications for the fall grant cohort will open this summer, inviting a new group of innovators to bring their ideas to life. Learn more about this spring’s ten project teams here. Want to apply for the fall cohort? Sign up to receive an alert when the application opens. UC Berkeley’s hub at the intersections of design and technology. Stories from UC Berkeley’s interdisciplinary hub at the intersection of design and technology.